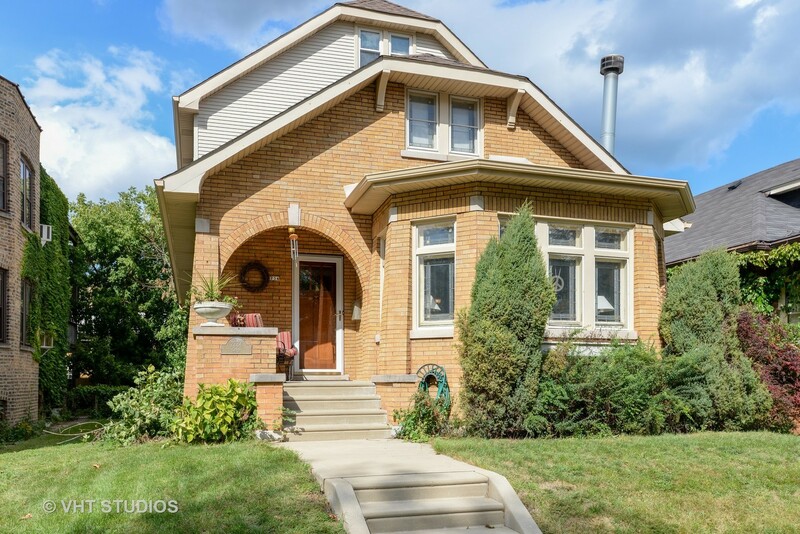 Beautifully renovated Octagon bungalow with space galore-3000 s.f. plus an unfinished basement-waiting for your ideas. The large living room features original stained glass windows & a wbfp with custom built in cabinetry. A custom oak staircase leads from the large formal dining room to the 2nd level. The kitchen with maple cabinets, granite counters & large island opens to the family room. French doors lead to a large deck & yard. First floor also features 1 bedroom & full bath. The extra wide lot offers a large fenced yard & additional parking pad. The 2nd level features a master bedroom with full whirlpool bath & french doors to a deck, 2 additional bedrooms, full bath, laundry & open den area. A staircase leads to the 3rd level with 5th bedroom & additional storage. 2 GFA/CA systems, updated plumbing & electric, newer roof & gutters, newer windows on the first floor except the living room. Close to parks, shopping & more.